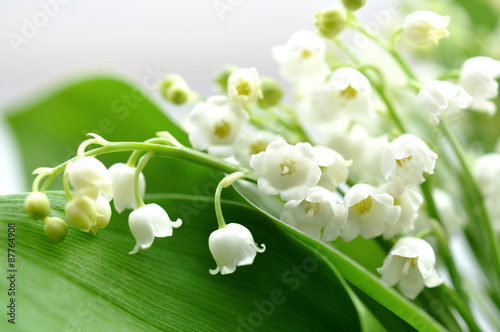 Blossoming lily of the valley in spring forest. 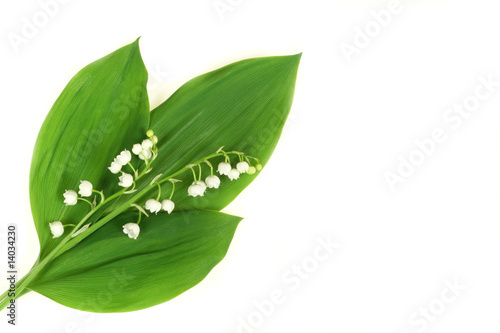 Lily-of-the-valley. 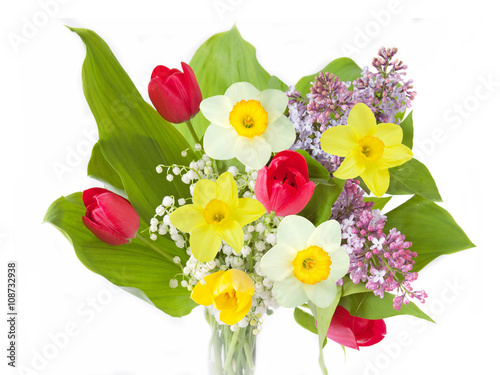 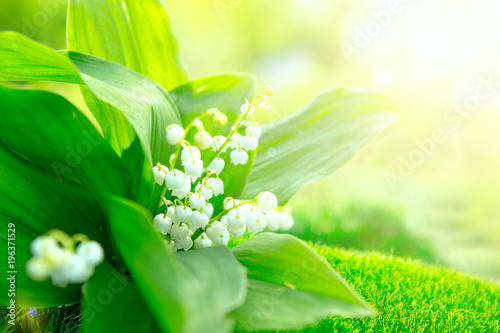 Convallaria majalis.Spring background. 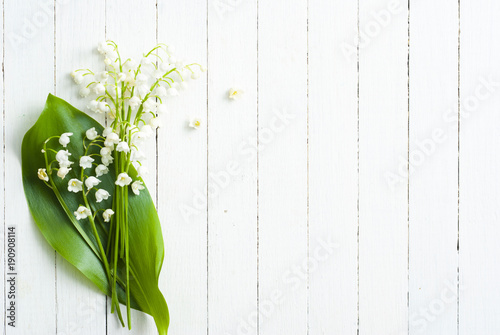 Floral background.Selective focus. 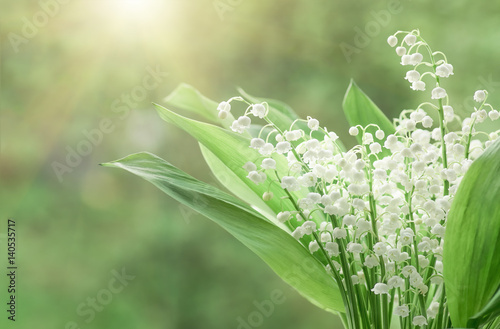 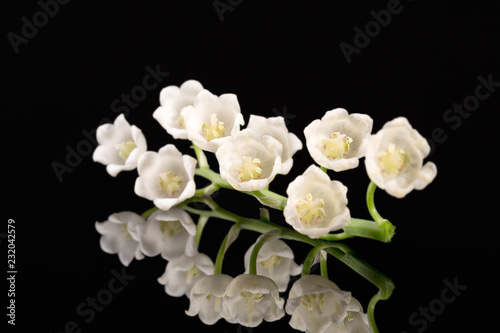 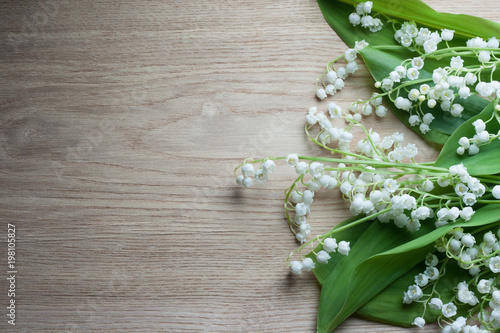 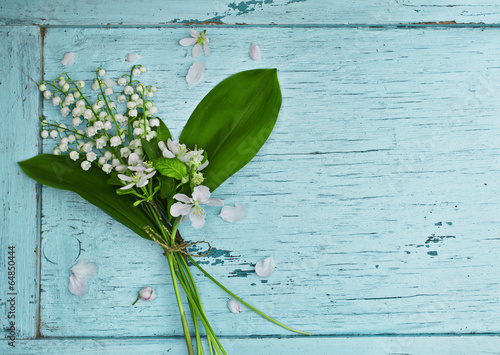 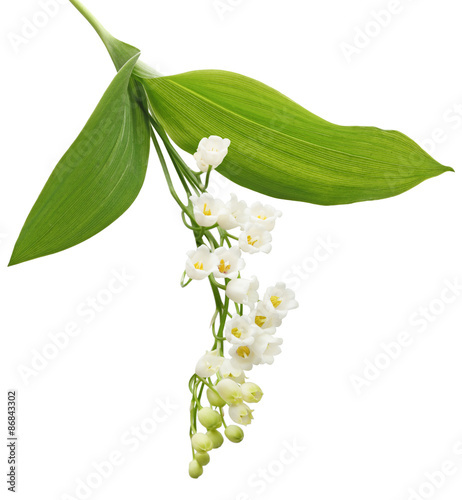 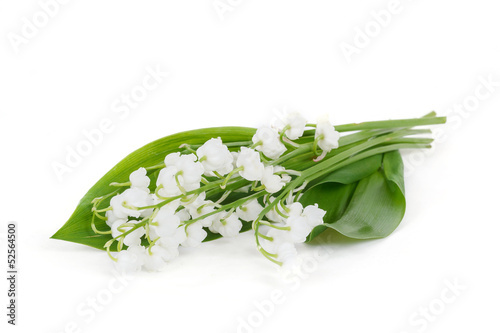 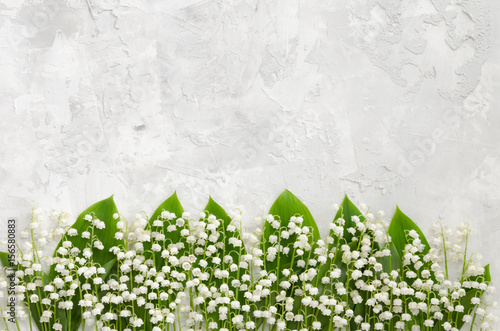 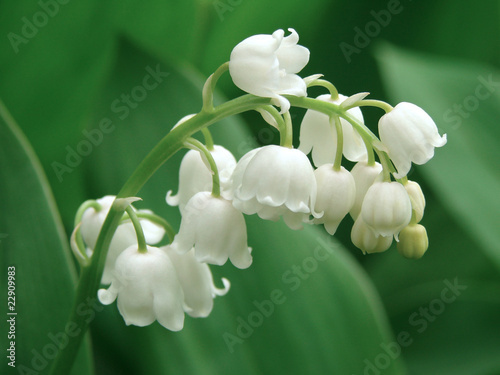 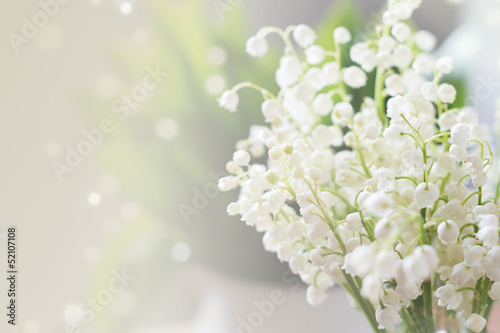 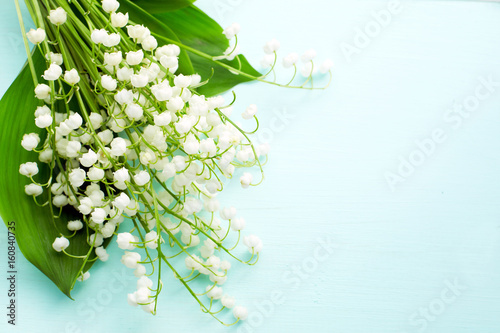 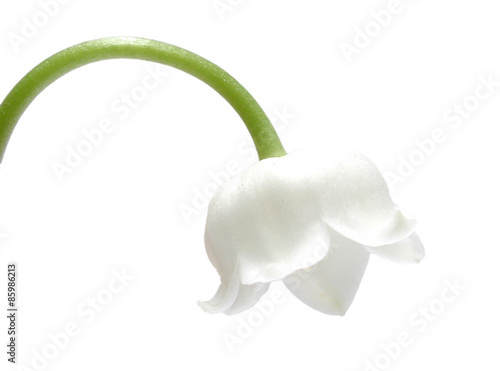 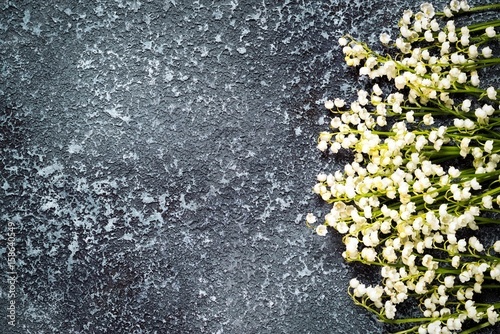 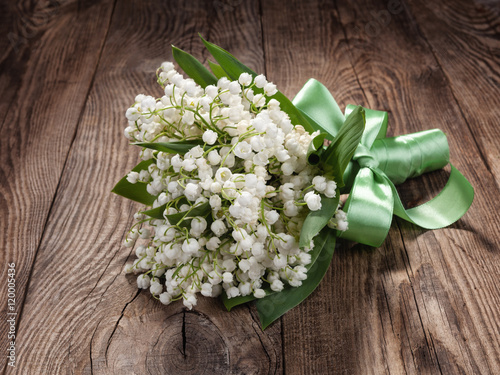 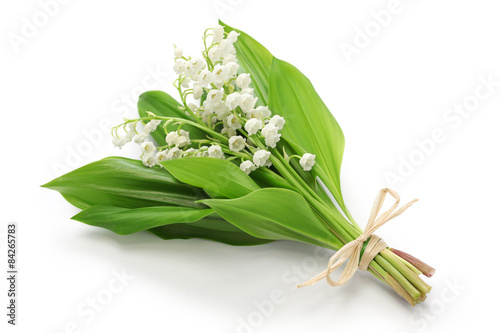 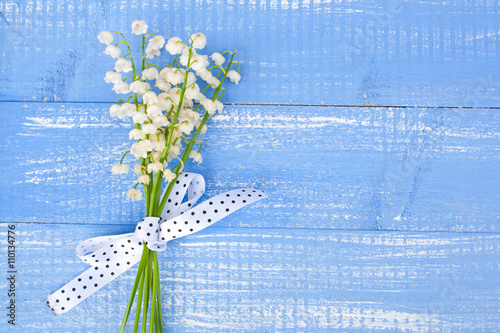 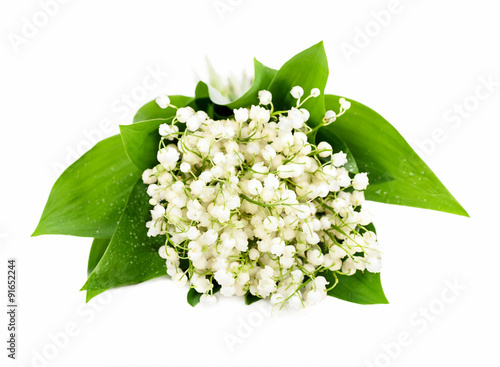 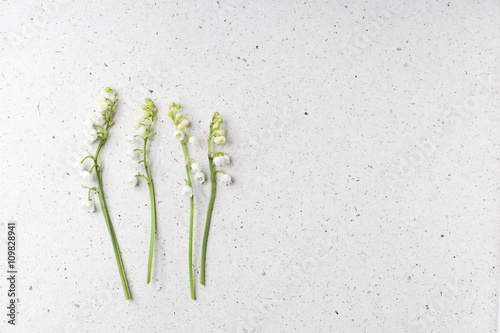 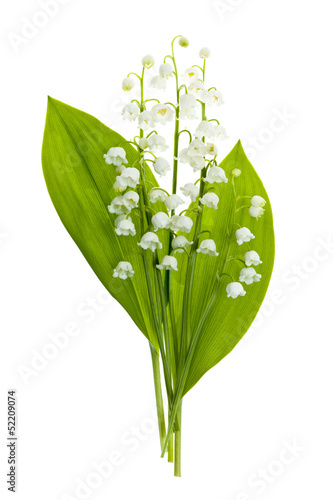 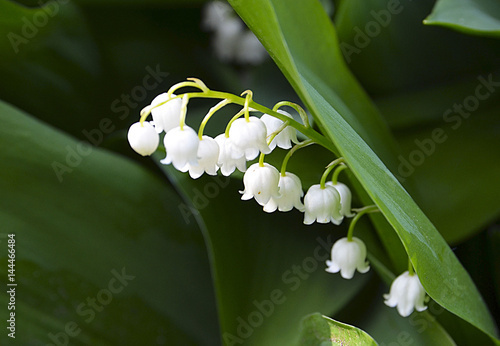 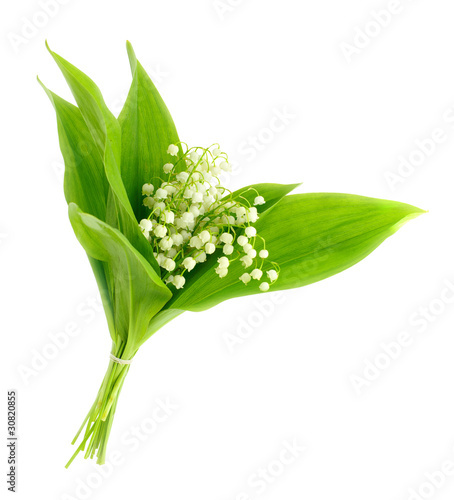 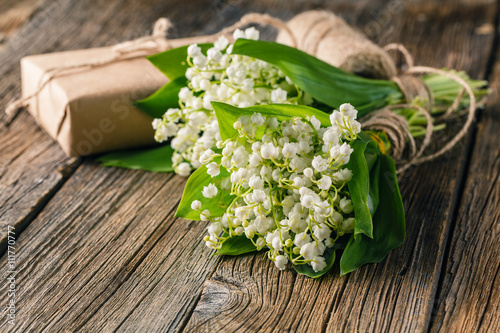 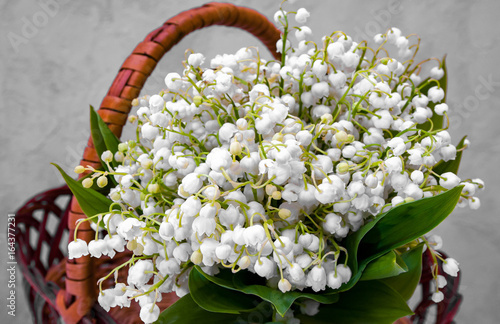 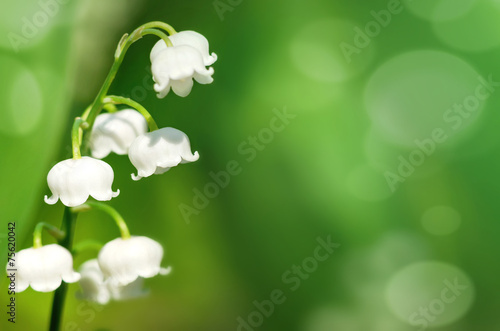 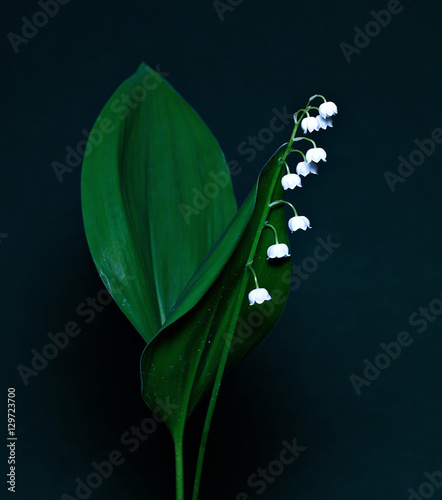 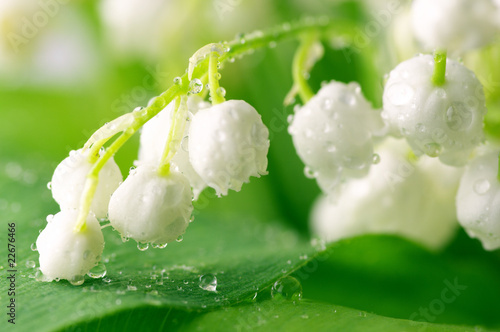 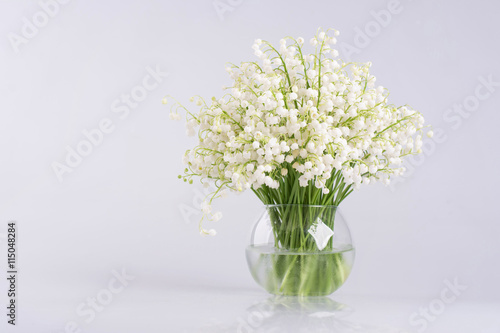 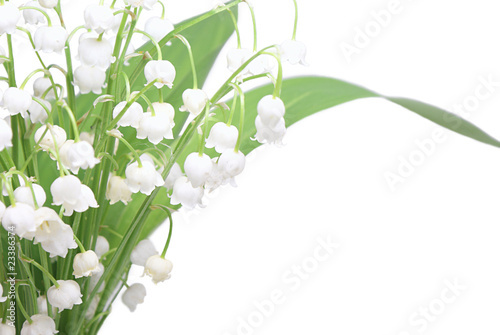 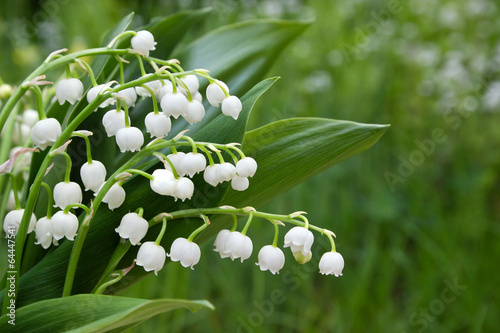 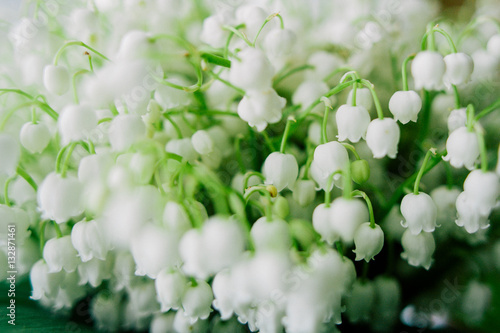 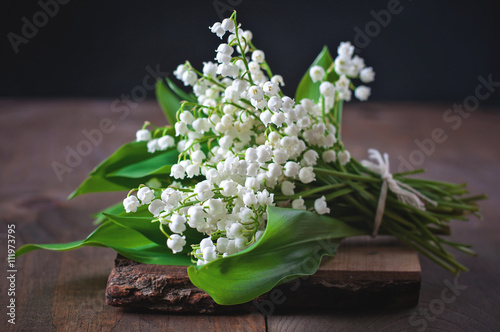 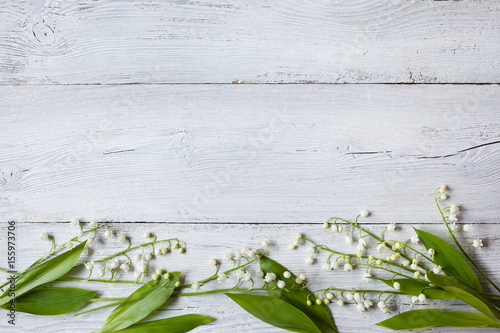 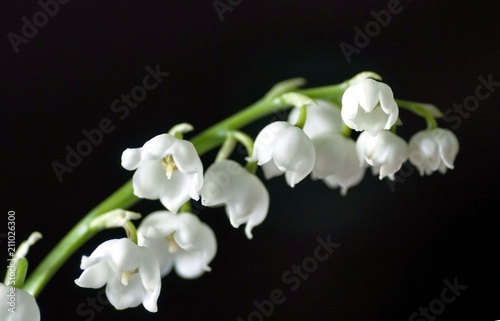 Romantic gentle flower background, lily of the valley on a mint color background, top view, flat layout. 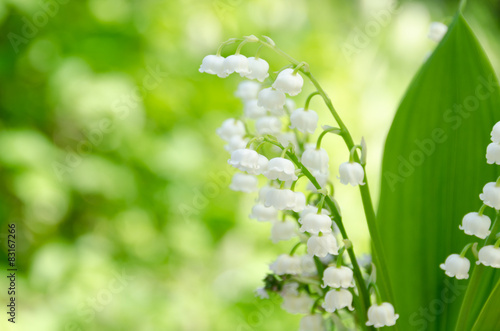 Blossoming lily of the valley in the forest. 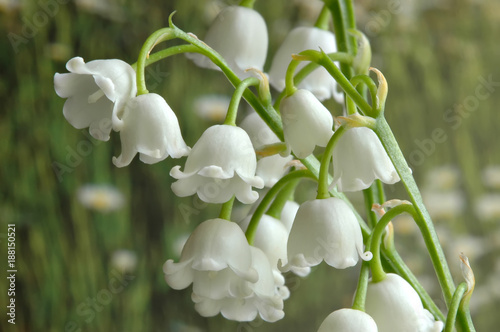 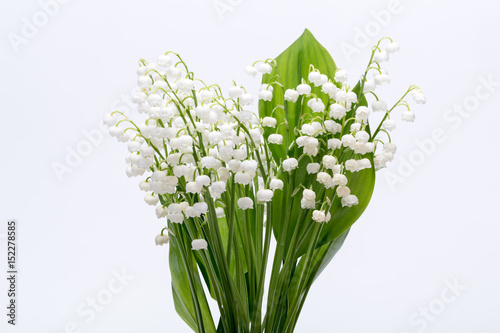 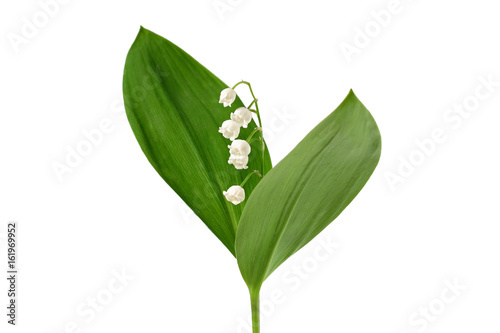 Lily-of-the-valley. 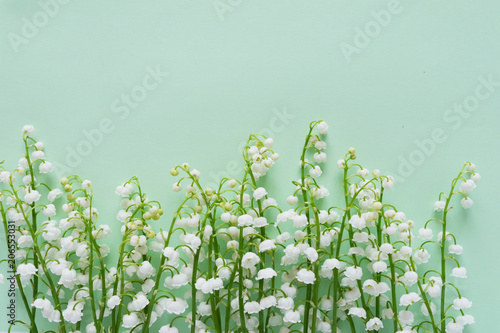 Convallaria majalis.Spring background. 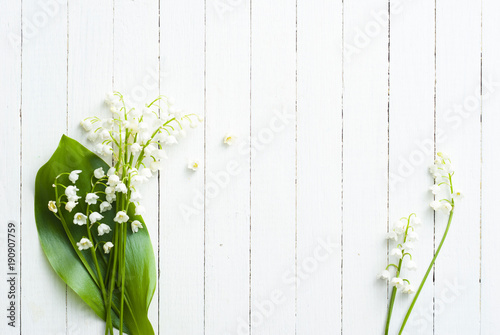 Floral background.Selective focus.